Google’s been busy over the past couple of years, today announcing an entire portfolio of devices that range across all types of devices you could need to the point where Google products could now run your entire household. What all these devices have in common is that they are all powered by the company’s artificial intelligence system, Google Assistant. Google is all in on the AI-first world, and constantly repeated the motto of ‘AI+software+hardware’ throughout the event. And on first glance, that focus as paid off, with Google delivering this holiday season a power packed lineup that is worthy of your attention. Google successfully launched its Pixel smartphone device last year. The Pixel was a critical darling with one of the best cameras in a smartphone, and its successor looks to be going in the same direction. 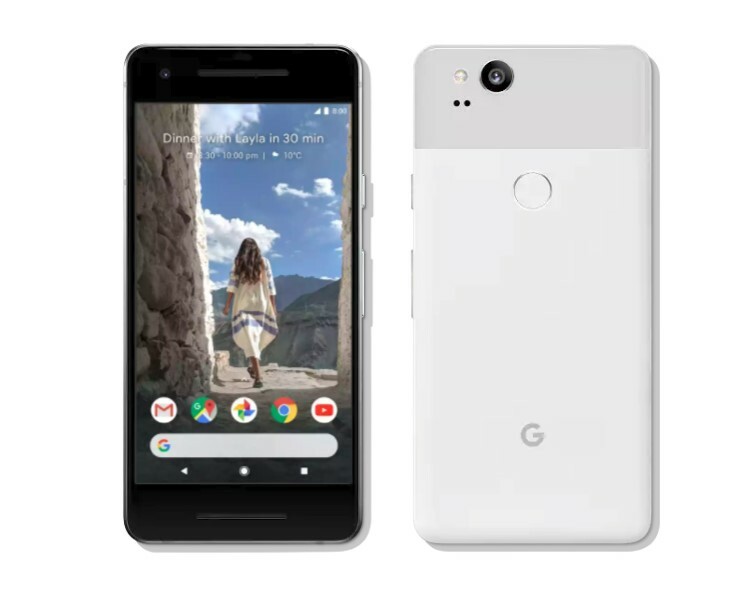 Google can yet again boast that it has the number one camera on the market as the Pixel 2 has achieved the highest DxO score of any smartphone ever, beating out the Samsung Galaxy Note 8 and the Apple iPhone 8. You’ll notice that there is only one camera, rather than the dual camera approach other companies are taking, because Google believes it can pull off the DSLR-like blur with just one camera, allowing portrait mode to work on both the rear and front cameras. Plus, with something called ‘fused image stabilization’, the Pixel 2 will do both optical and digital stabilization at the same time. Otherwise, the Pixel is more of the same sleek design, and it has the bezel-less, edge-to-edge display that we expect with our smartphones in 2017. You’ll notice that Google has followed Apple and ditched the headphone jack, which is sure to be an unpopular look. Google Assistant wise, the tech giant wants to make it even more accessible by now allowing you just to squeeze the Pixel 2 and it’ll activate the digital assistant. The company also revealed Google Lens so that now users can take a picture with their Pixel 2 and pull from the entire Google memory bank to figure out exactly where it is. It’s similar to what Samsung has been doing this year with Bixby vision, except with more data to pull on. As for the device’s guts, Google didn’t even bother glossing over them, because the truth of the matter is that all these smartphones are starting to hit an equal playing field when it comes to the hardware. For example, every major smartphone released this year runs on a Qualcomm Snapdragon 835 processor. However, the Pixel 2 is the only device that will run with pure Android Oreo on release. The Pixel 2 and Pixel 2 XL are available for pre-order. The Pixel 2 starts at $899 and ships on Oct. 17, while the Pixel 2 XL starts at $1,159 and should ship by late November. 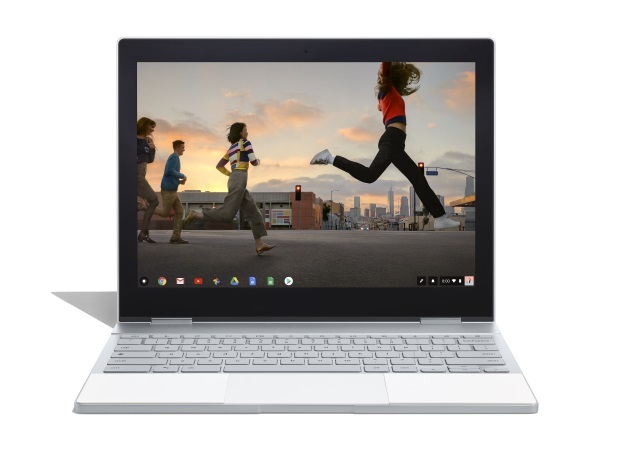 Google’s Chromebook designed for the Pixel family looks exactly how you’d expect a Pixel laptop to look like with the two-color design. The laptop is roughly 2 lbs and just 10 milimeters thick, and like most two-in-ones can be used in regular laptop mode, tent mode, or tablet mode. It has a 12.3-inch touchscreen with a quad-HD display, 7th generation Intel Core i5 and i7 processors, up to 16 GB of RAM, and up to 512 GB of SSD storage. Make no mistake, this is quite the powerful Chromebook, and since it uses USB-C charging, you can use the same charger for both the Pixelbook and the Pixel 2. The device runs on Chrome OS, but apparently has access to the entire Google Play Store, meaning you can download Android apps as well. Google is even working with Snapchat to create the first laptop Snapchat-experience. Launching alongside the Pixelbook is a Google Assistant-powered stylus called simply the Pixel Pen. For no reason at all, it doesn’t actually come with the Pixelbook, so you’ll have to pick that up separately. But, like every other Google device, the selling point is the Google Assistant capabilities. Due to the smart assistant, the Pixelbook can automatically connect to your Pixel, and according to Google it even has a touchpad algorithm that will make scrolling better. Google Assistant can be accessed either through talk or text similar to how Cortana operates on Windows 10, and with the Pen, you can do things like circle an artists name or picture and then Google Assistant will pull up that artist’s music. The Pixelbook will be available in three configurations starting at $1,299 and launches on Halloween, Oct. 31. Unfortunately, the Pixelbook will not be coming to Quebec just yet. A Quebec-release is TBA. The Pixelbook Pen will be available for $129. We all knew this was inevitable. 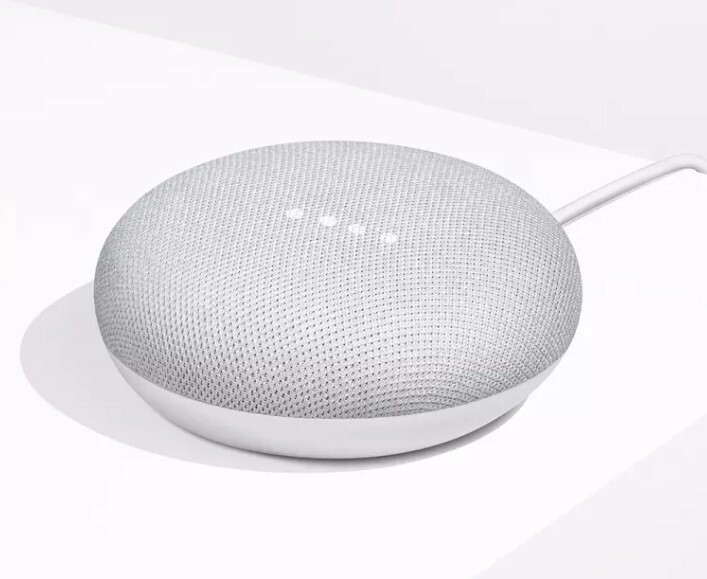 Google officially announced the tinier version of its Google Home device, the Google Home Mini. It can do everything that the Google Home can do except fit in smaller places. It’ll be available in three colors: coral, chalk, and charcoal. Both the Google Home and its little counterpart now have added Google Assistant functionality. New routines will make it easier to use around the house. For instance, if you say, “Hey Google, good night,” Google Assistant can turn off the lights, set your security system up, and remind you what your schedule is for tomorrow. 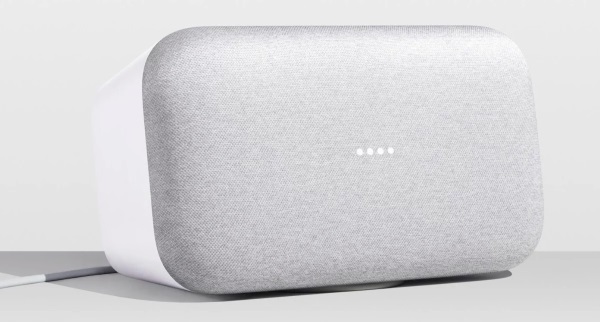 With the Mini, Google expects that you’ll have more of these devices throughout your home, so it has introduced Broadcast. This means you could tell Google Home to broadcast a message across all devices. You can even do this through your Pixel 2 device if you are out of the house, giving you just one more tool in your arsenal for scaring your family. Google Assistant has also been updated so that it has better voice recognition for kids. Google is teaming up with folks like Disney to bring stories and added functionality for kids to interact with Google Home devices. Google Home Mini ships on Oct. 19 for $79, and if you purchase a Pixel 2, for a limited time you’ll also receive a Google Home Mini. Google is quite serious about wanting to be the only brand you’ll need in your home. Google Home Max is 20 times more powerful than Google Home in order to provide the quality speaker experience you’d need for playing any of those sweet, sweet jams. As you can imagine, it has Google Assistant packed in and can do anything the Google Home can do, while also doing things like adjust the volume depending on how much background noise there is or on the type of content you are listening too. It also uses voice match to play songs and stations based on your profile. As expected, it connects to YouTube Music and Google Play, but also has Spotify support. Google Home Max also has aux-in support so that you can connect a record player or iPod as use it as a basic speaker. Google Home Max will launch in December in the U.S. Currently, a Canadian release date and pricing is TBA, with Google saying it plans to bring it to more countries next year. Step aside AirPods – a new wireless headset created to make up for the lack of a headphone jack but is unreasonably expensive is here! 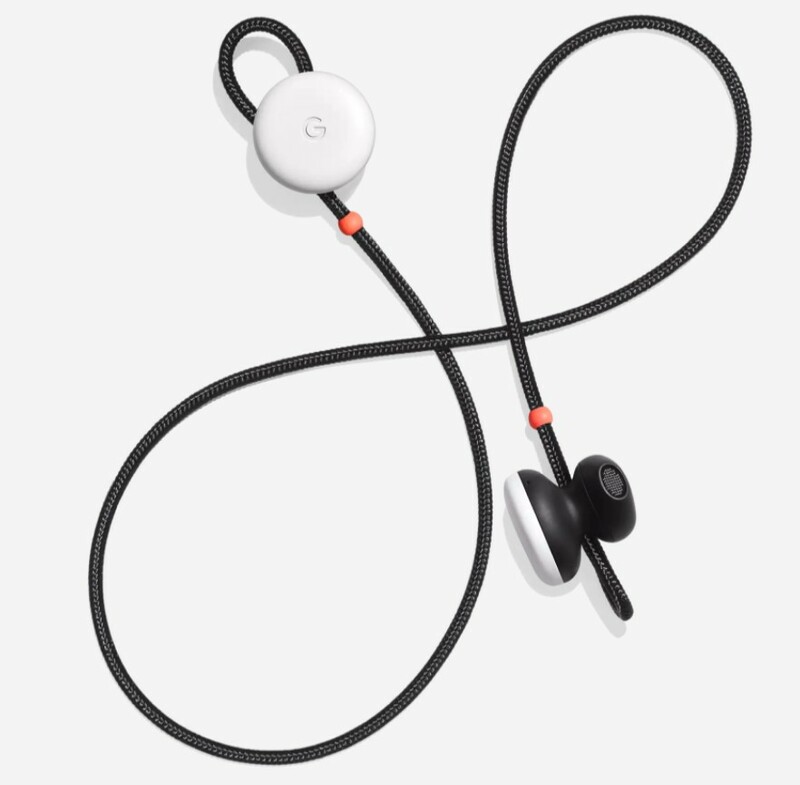 And while you might laugh, the Pixel Buds has one really cool feature due to the Google Assistant connection with the Pixel 2 – live translation. This means the headphones will be able to listen and translate over 40 languages on the fly using Google Translate. That could make these headphones a must buy for those who travel to countries that don’t speak their native language fairly often. Unlike the AirPods however, the Pixel Buds are tethered to each other, but otherwise wireless. The headphones also come with a charging case. The Pixel Buds will ship in November for $219. 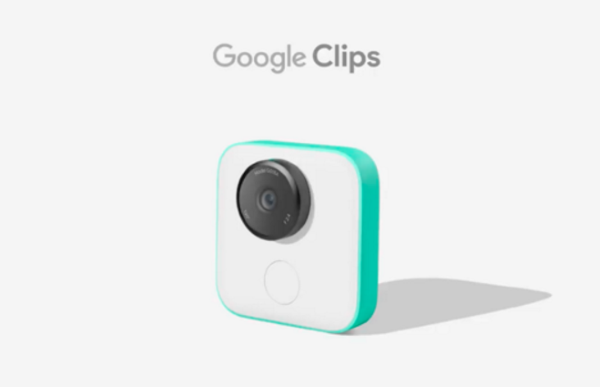 Google seems to be taking a page out of GoPro’s book with Google Clips. This tiny attachable camera clips onto whatever you’d like; clothes, a table, a railing, etc. ; but you don’t actually have to take manual photos. The Clips use machine learning that is built in order to take pictures automatically. It can recognize people, detect when a scene may be interesting, and it can shoot tiny videos that are being called – wait for it – clips. Google hasn’t indicated a release date for Google Clips, but it already has a price of $249 USD.